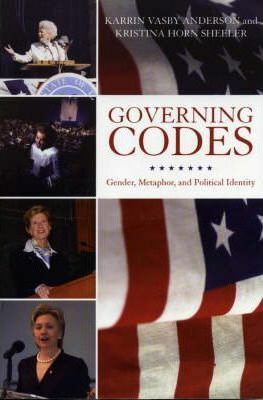 Governing Codes examines the political identity of four contemporary U.S. political figures_Democrats Ann Richards and Hillary Rodham Clinton and Republicans Christine Todd Whitman and Elizabeth Dole_illustrating how metaphor plays a central role in the construction of public identity in U.S. politics. Anderson and Sheeler analyze how familiar narratives and stereotypes about women and power often govern media portrayals of public women, containing and constraining them, but also how these women mine the metaphorical landscape for rhetorical strategies they can use to accomplish their pragmatic goals. Karrin Vasby Anderson is assistant professor of speech communication at Colorado State University. Kristina Horn Sheeler is assistant professor of communication studies at Indiana University-Purdue University Indianapolis.